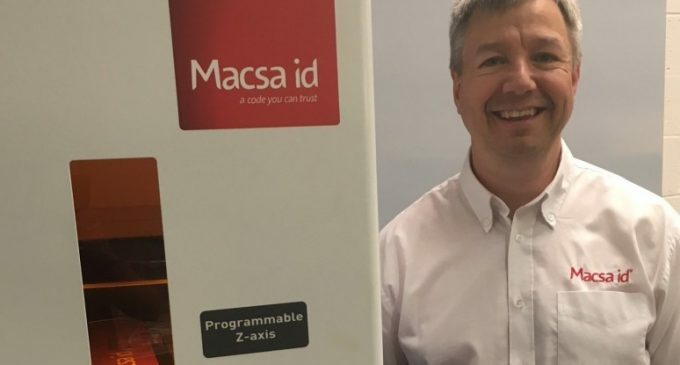 Barcelona-based Macsa ID, one of the world’s leading manufacturers of high performance laser coding, marking and scoring systems for the food, beverage, packaging, pharmaceutical, chemical, aerospace and automotive markets, has continued its global expansion with the recent acquisition of a majority stake in UK business, Halo Lasers. Halo Lasers has been rebranded to Macsa ID UK Ltd and will continue to operate from premises in Shefford, Bedfordshire. In addition to existing Halo laser units and workstations, newly-established Macsa ID UK Ltd will offer the full range of Macsa ID Fiber, YAG and CO2 laser coding and marking equipment. Macsa ID’s head office is located in Barcelona, Spain and is the only Spanish company that manufactures laser marking equipment. The company invests more that 8% of its revenues in R&D annually to maintain its position as a technological leader in the market. In 2017, Macsa ID achieved double digit growth for the 9th consecutive year and is on target to do the same in 2018.